There are 7 reviews of Fruits of the Musk. Thumbs up, but I couldn't wear it. This smells exactly like "Froot Loops" cereal from my childhood. As soon as I smelled it, it took my back to elementary school. Dry-down adds a bit of rose smell to the cereal. 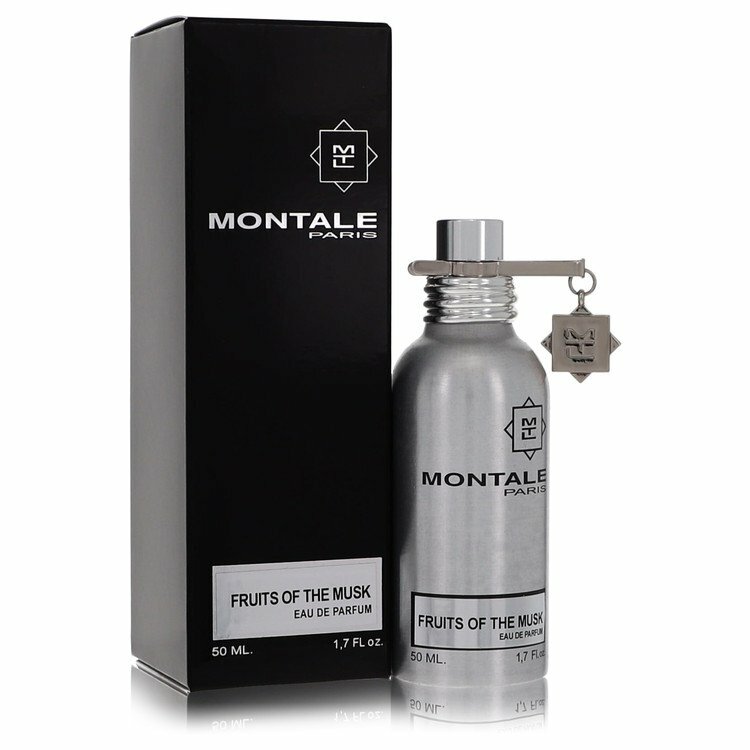 Montale Fruits of the Musk is neither a good creation nor a disaster di per se (there is indeed nothing off-putting or particularly synthetic in its perception, especially in its central and final phase of development). This scent lacks nonetheless overall a yet minimum level of personality and originality, being in substance a further example of the proverbial Montale's olfactory redundancy. I don't bash it mainly for its level of "synthetic implementation" since I don't find its aroma overbearing on this sphere (in comparison with all the olfactive "material" waving all around the market), my humble complaint is prevalently focused on its useless (act of) retracing yet crossed olfactory territories without providing a new remarkable "added value". Basically this soapy-diaphane (more than vaguely lipstick/cosmetical in effects) "white" scent is a simplification of many classic powdery/soapy/aldehydic floral-chypres of the past (scents from Grossmith, Cacharel, E. Coudray, Trussardi, Alyssa Ashley, a bunch of Caron's, Ysl's or Chanel's jump indeed partially on mind, each of them for several of their final powdery/spacious/balmy characteristics). I don't find this juice particularly fruity (the notable red berries's implementation is actually well balanced and moderately dosed), this "poudre et ambre'" kind of scent is (under my vulgar nose) all about bergamot, musky rose and jammy white soapy powder (balsams, powdery woods, synth amber, heliotrope etc) imo. Several Farmacia SS Annunziata's have recently retraced this formula with mediocre results as well. Musk is not the standout note while resins and soapy balsams are the main "topic" in here, side by side with this central creamy/waxy/honeyed rose so close to the one we can easily catch in many nourishing drugstore creamy potions for women. Dry down is almost cottony, it seems the aroma of a rose/milk-based moisturizing cream on woman's skin, in this stage the scent is ostensibly organic and quite creamy-poudre. Dry down is the best part of the job but it lacks nuances and articulated structure. It seems to catch even more the note of powdery/talky amber in this stage. A presumptively "niche" fragrance smelling not as a fragrance, finally an expensive experiment, don't you think so? Fruits of the Musk is a completely, desperately synthetic fruity scent, as much milky-syrupy as pungent and artificial. White vanillic musks on the base, together with a dry, dusty and artificially earthy note of patchouli. That’s it, perfectly identical to itself for hours. Boring, cheap, plain, with the same quality, elegance and creativity of the worst celebrity fragrance out there. This is a very sweet rich mix of every fruit under the sun. It starts out a bit tropical (almost effervescent), with some pineapples and bananas, then moves into richer berry notes. Cherry, strawberry, blackberry, blueberry. It's all here. Very sweet and candy-like with a dark undertone. I don't get much musk in this, so it's quite feminine. It's gotten more palatable as a unisex offering as I wear it, A fun summer/beach scent for ladies, possibly. Should have been named "Berries of the Musk". I feel like Montale was having fun with this one in the lab and then tried to sell it. Probably best for those under 30. I was surprised at the opening. It was not at all what I expected. It became sharp, and had a particular botanical astringency. This scent did not strike me as sophisticated. Instead, it is very blunt and long-lasting with strong sillage. The base notes were bearable, but ultimately not something I want to smell like in any situation. I think some of the sharpness throughout this fragrance could be because of the musk, which I learned is almost always synthetic. So I assume that it also why I was simply left confused by this fragrance. There are no member images of Fruits of the Musk yet. Why not be the first?